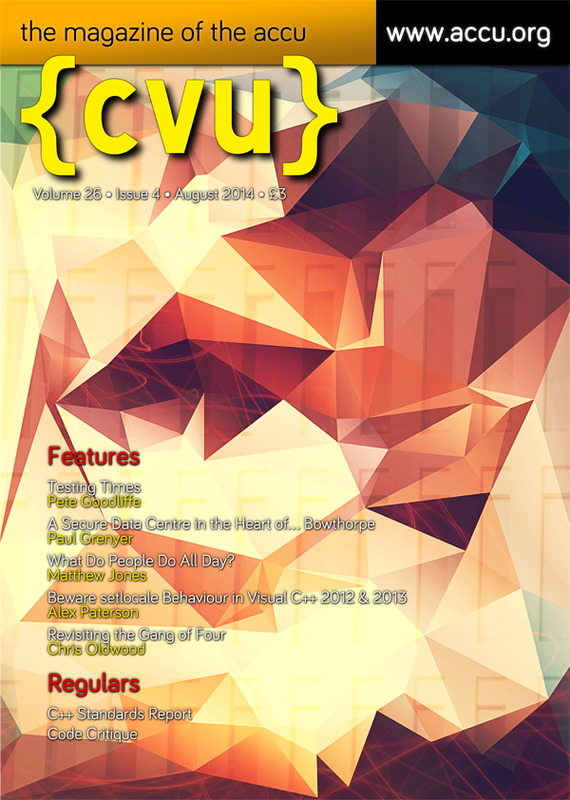 My latest Becoming a Better Programmer column is published in the September issue of C Vu magazine (26.4). It called Testing Times and surveys the world of developer testing, covering the what, why, and how of programmer-driven testing. We look at feedback loops, TDD, unit testing, integration testing, system testing and more. Meanwhile, my book: Becoming a Better Programmer, is nearing print. It's gone through tech review, copy edit, and layout is almost complete. You can still access the early release at http://shop.oreilly.com/product/0636920033929.do.